314 came early this year. Well, in case there has been the feeling the Keen modding scene has been a little dead (and I'm having some doubts), this is surely an example showing it's not the case. More to the point, I've given this a little try. I've surely been tricked, thinking the palette was globally changed, while original graphics (like the title screen) were technically kept as-is. However, it looks like at least the wristwatch background was, in fact, edited, so this can trick a few. My current guess is that up to reshuffling, dark cyan is removed and orange is added. Given that we still have the bright cyan color, this sounds like a good idea. 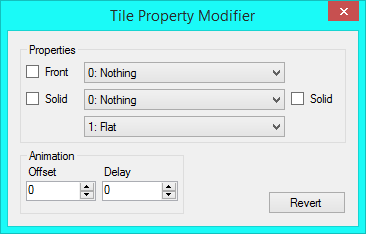 In addition, while it's clear the maps are composed of tiles, there have been at least a few occasions where it hasn't been clear to me where does a tile "begin" or "end". I guess that says something about the way tiles are matching each other! This is so beautiful. Really amazing stuff. can't wait to play the whole thing. I climbed the edge of this hole and buggly finished the level. joe-ilya wrote: I climbed the edge of this hole and buggly finished the level. Cheers, the holes for the poles are like that at the moment, I haven't got around to making the tile property that stops this from happening yet. It'll probably take 2 minutes, I just forget these small things most of the time! Thought I'd stick up the mod's title screen in it's current level of completion. I've had this much done for months now, just haven't revealed it yet because I was going to come up with a mod name to chuck on it first. That hasn't happened, partially because I (and also TroublesomeKeen ) can't come up with anything decent and also because the title screen is full of stuff anyway. While I'm thinking "Ominous Ocflore" is a potential name, I'm also considering leaving a title off the screen altogether due to it being somewhat chaotic already. I (and also TroublesomeKeen ) reckon that if anything, you guys will recommend the screen needs stuff left out. Please let me know your thoughts on it for the time being. It's worth noting that I won't be able to get around to addressing it for a month or two as I will have exams coming up followed by the last my work that is needed for Atroxian Realm. After that I've got a big, long break in which I can get to work on this project again! Stunning! 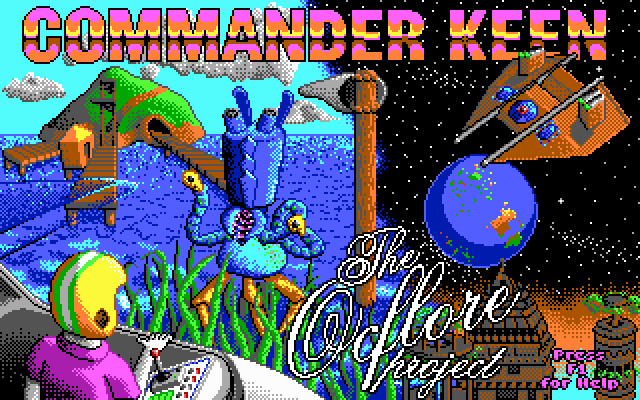 Great shading, great color scheme, I love how you managed the blue on blue with the alien creature and the ocean. I think the composition and level of detail in all the of all the various objects are fantastic. I particularly like the alien (the head (?) structure and the teeth), the docks extending from the island, as well as the alien ship and the cylindrical towers in the bottom right. As far as including the episode title, if you decide to do so, I think it would be best placed in the center where the windsock is currently positioned. I actually think this would be a better inclusion, since the pole of the windsock accentuates the division of the screen. In either case, do get rid of "Press F1 for Help"! Best ideas I can come up with are "Operation Ocflore" or "The Ocflore Option". The upper right sky is pretty lackluster in comparison to the rest. I'd suggest some dark cyan, but I realize you've swapped that color out. Perhaps more clouds interacting with the horizon/water line and the around/behind the island itself. More wisps and pixels of white or light grey amidst all the cyan, though not too much so as to alter the clear tropical skies theme. The outline of the island stands out a little too much too, I think. Throughout the screen you do a great job of using a variety of colors to outline objects, I think a lighter shade would look great here as well. I'm not sure I understand how the bottom right fits or interacts with the rest of the title screen. Is the ship on the right flying over it, or orbiting the planet? What is the orange/brown segment in the lower right? I think the buildings are beautifully designed, I just don't understand their relationship to the rest of the screen's elements. Keen is a little weird. I'm not sure if it's that his neck is too thick, or his head/helmet too small. His arm holding the side of the cockpit is a bit rigid and flat as well. Great shading on his shirt though. Great screen, I like it. Nice job I admit. But do you have all the patches for this mod, Bubbatom? Ceilick wrote: What is the orange/brown segment in the lower right? I agree with most of what Ceilick said, though the neck seems fine to me - shading might need a tweak though. This is amazing through, and I quite like wiivn's text - it doesn't obscure things and is still visually pleasing. I don't have an issue with how the sky looks - seems like a clear tropical day. I like the outlining of the planet too, though I wonder if maybe the atmosphere needs to be thicker. Not sure you have many options in the palette though. Anyway, this is among the best title screens I've seen. The best name I could come up with was "The Ocflorist". I'll see myself out. It's stunning. wiivn's idea how to display the name is pretty good -- no need for it to be big block letters. 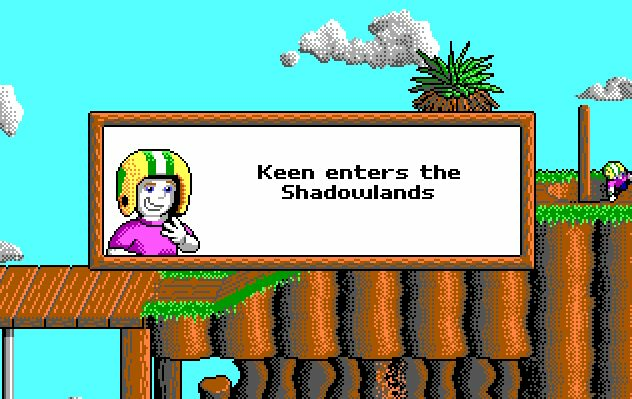 I think Keen's neck could be slimmer and maybe a part of his face should be visible from this angle, just a few pixels -- or alternatively the helmet should be a bit bigger. But I'm not totally sure, not being the master of perspective. Whoa, that is one cool title screen you got over there, Bubbatom!